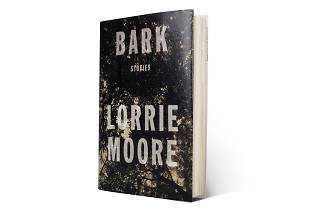 Humor helps to magnify the troubled characters of Moore's latest story collection, and sometimes steals the show from them. Lorrie Moore’s first short story collection since her acclaimed Birds of America returns to the genre that built her following, and to the relationship dustups familiar to her readers. A recurring theme is divorce, what the disgruntled husband of “Debarking” calls a “trap door you fall through.” He might be speaking for many of Moore’s characters, who are often blindsided when their affections suddenly slip away from them. The aforementioned divorcé is attracted, in spite of himself, to a woman who maintains an unhealthy intimacy with her teenage son, and who sculpts wooden phalli that she keeps in the living room. In “Paper Losses,” a soon-to-be-jilted wife can’t fathom the “penile-shaped” model rockets her husband builds in the basement, any more than she understands why he hasn’t kissed her in a year. Comic ruination and poignant satire are vintage Moore traits, as is her keenly intelligent prose. Sometimes it all makes for a powerful blend; other times, undue attention to humor means some crucial moments lose potency. All of her characters typically face the same crossroads: Down one path, earnest self-reflection prevails; down the other, the desire to grasp the punch line reroutes the story from its dramatic trajectory. This “mix of offhandedness and intent” (words one character uses to describe himself) signifies the truest strain of Moore’s literary DNA. Elsewhere in the collection, multiple mentions of the Iraq War and Abu Ghraib struggle for relevance, while the most touching story, “Referential,” depicts a widow’s uncertain romance with a man reluctant to visit her hospitalized, psychologically disturbed son. The story offers both a neat plot twist and a beautiful tenderness that’s unobstructed by surplus witticisms.